The Ultimate Movie Review! 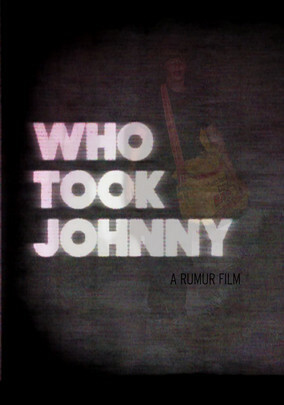 : Who Took Johnny? In 1982, missing children reports were so rare, that often times the local authorities didn't take them seriously. Most of these kids were considered runaways, as authorities at the time couldn't even fathom the depths of depravity that some people are capable of sinking to. In the case of Johnny Gosch, not only wasn't he a runaway, the compelling documentary, Who Took Johnny?, and the subsequent books by his mother, Noreen, have shown that not only may Johnny still be alive 35 years later, but he may have suffered more torture than anyone in the history of this planet. On September 5, 1982, Johnny Gosch, a local paperboy was abducted from Des Moines, Iowa. Despite eyewitness statements, the local police, considered him to be a runaway. Over the years evidence and even a witness go to the FBI to say that Johnny was used for human trafficking. Pictures have turned up and even his mother claims, Johnny stopped by the house for a brief time, 15 years after he'd disappeared. The documentary shows how the local authorities, didn't care and mishandled the case right from the very beginning, and how the FBI kept the family completely in the dark. To this day, despite the fact that her son could be god-knows-where, Noreen Gosch has become an outspoken defender for missing children and the rights of their parents. There is no doubt that this documentary is anything but unbiased and impartial, and while I'm not sure I believe everything Mrs. Gosch says, when taken as a whole, one can't ignore everything that happened in this case. The other side of this gave blanket statements or declined to be interviewed, which tells me, she's right about more than a few things, and even if a third of this is true, it's appalling. When catastrophe strikes, we rely on those in power to take care of us and make things right, but what happens if they just don't want to? This documentary is truly eye-opening and provides plenty of ammunition to victims rights advocates.